When a hurricane threatened, community members wrapped "Oarsman Before The Sun" securely to protect it. Three new works for the center of a city. Bronze and steel. Two will be designed to fit into a 10 ft x 10 ft space. The third will be 60 ft (L) x 15 ft (W). The studio is humming. Draft after draft. “The Memory of Water” is taking shape. “What does the water remember?” According to the First People, it remembers a time when the sky and the sea were one. And so it is now our task to fill the city with rapids that are breathtakingly beautiful. 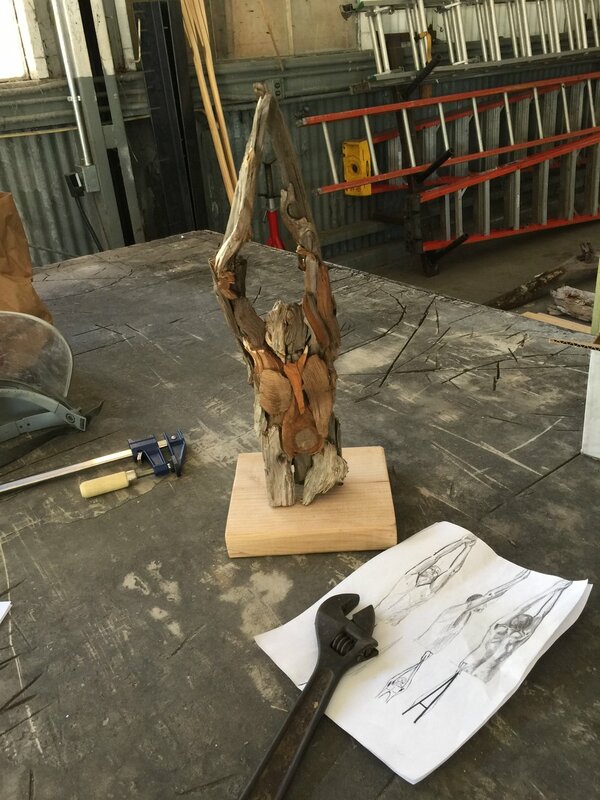 The process begins with tape, steel, copper sheet and wild imaginings…and also technical drawings. Engineering is more romantic than you think. An idea. 45 ft (L) x 10ft (H), Bronze cresting over steel waves. The bronze would be patinated blue.